· Literacy, Learning, Self-discovery, and Cultural Awareness—Classes and resources for young adults include a wide array of subject matter and fields, encouraging young adults to develop current interests and explore new ones. These classes and resources afford young people experiences with people and concepts of different cultures. Continued exposure to books celebrates the joy of reading, challenges young adults to think critically, investigates cultural themes and issues, and further builds upon the groundwork for a lifelong love of reading and learning. The library also extends young adults’ knowledge of available library, community, and online resources. · Social Involvement—Young adult library classes offer opportunities to interact with peers, library staff and volunteers, and members of the community. These opportunities enhance young adults’ abilities to develop awareness of self and others, foster the formation of relationships, encourage community engagement, and support healthy social behaviors that set the course for future life success. 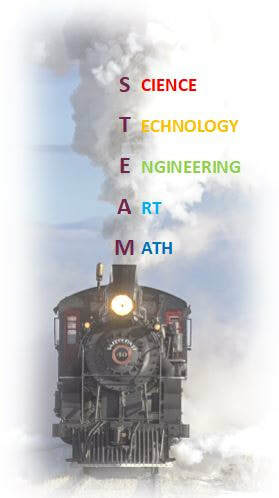 STEAM is an educational acronym referring to learning that emphasizes science, technology, engineering, art, and math. The primary purpose behind this educational focus is the development of skill sets that prepare students for the innovative nature of 21st-century global society. A variety of library classes and events for young adults promote STEAM learning, from selected Teen after Hours events, to our Mad Science Week, to our Summer Camps at Library Laboratory, and more. Library STEAM classes and events foster inquiry, discovery, investigation, creativity, and critical thinking to develop STEAM literacy; engage young people in STEAM processes; and equip learners to move forward in today's fast-paced STEAM-centered society, full-STEAM ahead.